What better way to soak in the harbour views than by enjoying a sweet treat while doing so? I sure know it’s a past-time of any Sydney-sider to catch up with friends whilst looking out onto our stunning harbour. 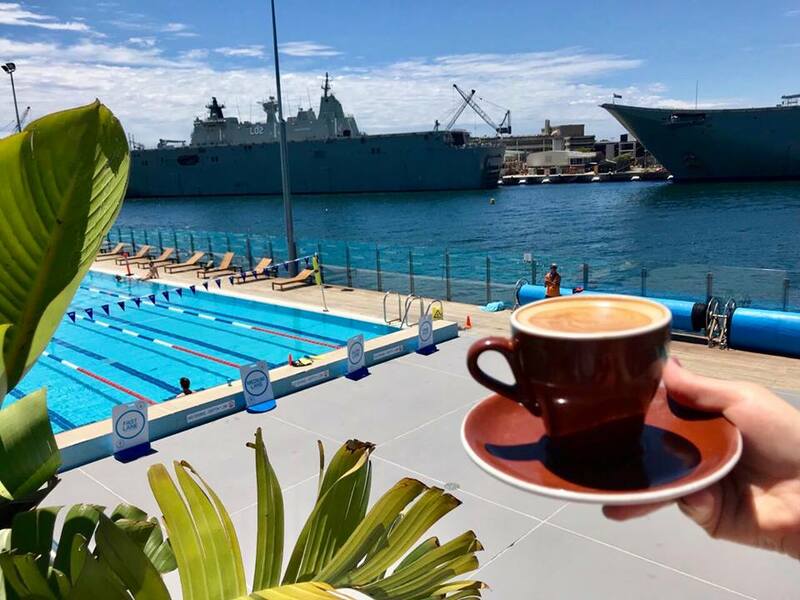 The following are some of the places (some hidden and rather well-known) that will guarantee to tickle your pickle- that is, if you want the total package: rockin’ views, good coffee and baked goods, and a slice of the authentic Sydney. Perched on top of a grassy hill, this cute but small canteen-style café is lush. It is right above the protected Redleaf beach that looks over the tranquil harbour, and is the perfect spot for a morning swim. Ideal to go to the café out of peak times- preferably weekdays and close to opening time at 8:30 am. Try their mochas, and also the toasted croissants. Sitting under the tree and eating your snack is a great post-swim ritual- or if swimming isn’t your jam just sit back and soak up the picture. Also, be sure to swim out to the isolated pontoons for a sunbathe…also great for digestion! If you are the type of person who would appreciate marina views on calm bay, then tide café is for you. The café is literally built on the Rose Bay Marina- you can’t get any more harbourside than that! They serve pretty much anything, but we dig their flat whites and the toasted Banana Bread, with mascarpone & fresh Strawberries. The café is very reasonably priced, and let’s not forget that it is not your standard café experience.A must-see. This is our favourite harbour-side café in Sydney, purely because it looks over the beautiful Rose bay, and you get to see all the harbour activity: sea planes taking off, people stand up paddle boarding, kayaking, and sailing. They provide a large selection of tea, coffee, cold and alcoholic beverages- our fave being their iced coffee on a hot summers day. While they do not serve any cakes, we would highly recommend coming here for drink and even some cheeky oysters or a lobster roll. A great coffee shop right above Nielsen’s beach in Vaucluse- also a top protected swimming spot. The coffee shop is right next to their restaurant, and is ideal for a coffee and sweet treat. We’ve tried their chai latté and oatmeal cookie and were very really pleased. The coffee shop looks right onto the harbour where the iconic Sydney to Hobart race takes off. Just sublime views. Hidden from the knowledge of many Sydney-Siders, Quarantine café is situated on land that has rich yet dark history. The café is right next door the Quarantine bay museum, that reveals all the relics from when the beach served as quarantine station for incoming travellers- many of whom were infected with disease. Although this location is quite isolated, it is totally worth the journey. The café looks over a very secluded part of the harbour, and is ideal for those who want a coffee and cake but still want to learn. A class ‘A’ café which will be sure to cater to your every need- and for photos especially! It is right on the water, overlooking the beautiful Balmoral area in northern Sydney. The coffees and cakes are the bomb. They are tagged with their signature icon- the ‘anchor’, making this experience all the more special. In our opinion, the café has the most inviting décor out of any we’ve seen- fresh flowers and produce out the front for sale, with its homey, boat-shack vibe. Don’t miss this!